The former boss of one of England’s most successful football Academies has praised the work of a local school. 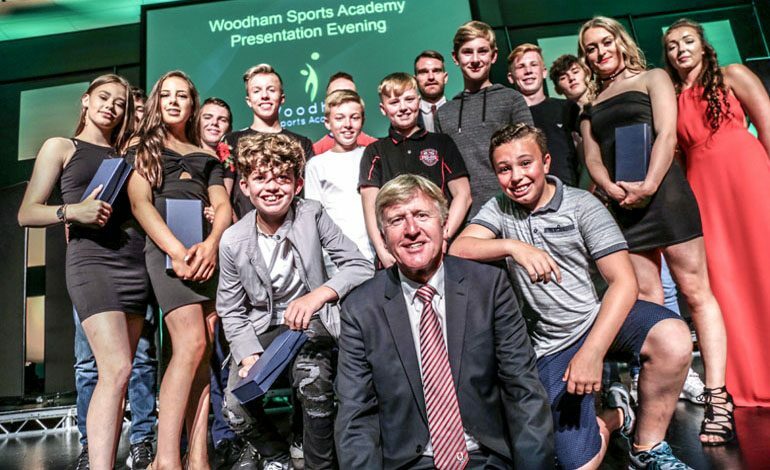 Dave Parnaby presented young people from Woodham Academy in Newton Aycliffe with a series of awards at the school’s annual Sports Academy presentation, held at the Xcel Centre on Aycliffe Business Park. Parnaby led Middlesbrough FC’s academy for nearly 20 years, producing players such as Stewart Downing, Lee Cattermole, James Morrison and former Woodham students Ross Turnbull and Jason Steele, before retiring in 2017. During his time, Academy players recouped more than £75m in transfer fees, while more than 100 of them have gone on to play league football. Parnaby was particularly impressed by the array of sports available to students at Woodham Academy during the presentation. “The work that has gone on behind the scenes is outstanding,” he said. “What I’ve been most impressed with is the variety of sports available to young people at Woodham Academy, and some fantastic opportunities. Woodham Sports Academy was launched six years ago. Now, more than a third of the school’s students are signed up to it, participating in football, swimming, dancing, water polo, gymnastics, netball, mountain biking, handball, table tennis, cricket, boxing and basketball. In delivering some of the coaching, Woodham Sports Academy partners up with the Durham County Cricket Board, Durham Wildcats, Newton Aycliffe FC, Northumbria University, Premier Player Football Academy, Sedgefield Water Polo Club and Joanne Banks Dancers. Since launching, students in Woodham Sports Academy go on to achieve a quarter of a grade better than non-Sports Academy students, while Sports Academy students average five-plus GCSEs. Parnaby added: “The figures are hugely impressive, and it’s easy to understand why those who are participating in sport and enjoying their time in school are achieving in their academic studies as well. “But there are also basic principles I’ve always lived by, one of which is manners, having respect. During the presentation every one of them said ‘thank you’ which might sound small, but to me is very important. “Your core values really come from your parents, and you could see from the turn-out here that parents are very supportive of what their children want to do. Students handed awards at the 2018 presentation included Gregor Mills (Year 7 individual achievement award), Ben Alderson (Year 8 individual achievement award), Bethany Macdougall (Year 9 individual achievement award), Georgia Thelwell (Year 10 individual achievement award), Jon Hardy (Year 11 individual achievement award), Sydney Etherington (KS3 contribution to sport award), Year 7 Basketball team (Team of the year award), Cameron Turner Neill (Leader of the year award), Aaron Busby (Sports Personality award) and Mackenzie Alton (The Mark Bulman Award). 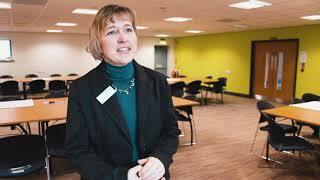 Hannah Kent, director of Woodham Sports Academy, added: “We’re all exceptionally proud of every single one of our students. “They’re fantastic at everything they put their hands to, and they do it with such good character and attitude. “Students in our Sports Academy also perform well academically. We encourage them through contracts, and they have to maintain certain standards throughout schools for them to remain in the Sports Academy, so they’re encouraged to achieve at everything they do, not just sport.